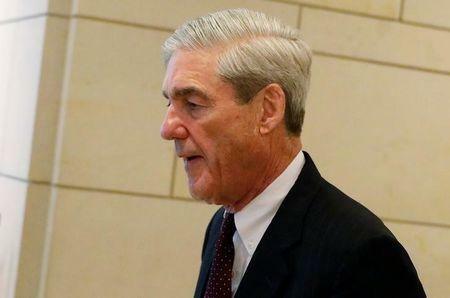 WASHINGTON (Reuters) - A Russian company accused by Special Counsel Robert Mueller of funding a propaganda operation to interfere in the 2016 U.S. presidential election is asking a federal judge for access to secret information reviewed by a grand jury before it indicted the firm. In a court filing on Monday, lawyers for Concord Management and Consulting LLC said Mueller had wrongfully accused the company of a "make-believe crime," in a political effort by the special counsel to "justify his own existence" by indicting "a Russian-any Russian." They asked the judge for approval to review the instructions provided to the grand jury, saying they believed the case was deficient because Mueller lacked requisite evidence to show the company knowingly and "willfully" violated American laws. Concord is one of three entities and 13 Russian individuals charged earlier this year by Mueller’s office, in an alleged criminal and espionage conspiracy to meddle in the U.S. race, boost then-presidential candidate Donald Trump and disparage his Democratic opponent Hillary Clinton. The indictment said Concord was controlled by Russian businessman Evgeny Prigozhin, who U.S. officials have said has extensive ties to Russia’s military and political establishment. Prigozhin, also personally charged by Mueller, has been dubbed “Putin’s cook” by Russian media because his catering business has organized banquets for Russian President Vladimir Putin and other senior political figures. He has been hit with sanctions by the U.S. government. Concord is facing charges of conspiring to defraud the United States, and is accused of controlling funding, recommending personnel and overseeing the activities of the propaganda campaign. The legal burden to gain access to grand jury materials, such as testimony and jury instructions, is very high because such information is carefully safeguarded to protect the integrity of investigations. To win access, a defendant must show it is needed to prevent injustice and that the interest of disclosure outweighs the need for secrecy. Concord's attorneys said Mueller's claim that Concord conspired to defraud the United States was fatally flawed because it does not allege the company intended to do so. The lawyers also said a foreign company could not possibly have known the intricacies of U.S. federal election and foreign lobbying laws. "A foreign corporation with no presence in the United States is indicted in an unprecedented case ... for conspiring to defraud the United States purportedly by not complying with certain regulatory requirements that are unknown even to most Americans," the lawyers argued.